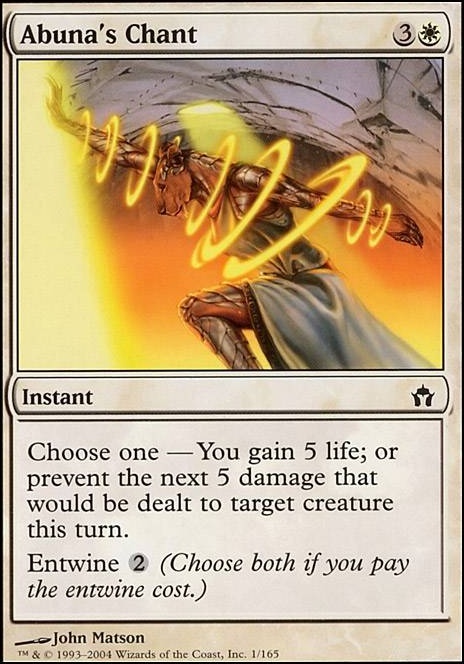 Choose one  You gain 5 life; or prevent the next 5 damage that would be dealt to target creature this turn. 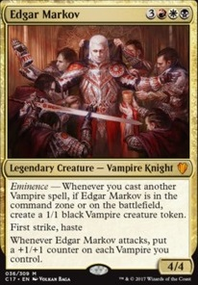 Well I really like Authority of the Consuls due to life gain and it slows your opponents. 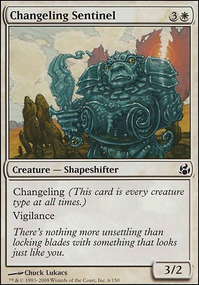 I would also suggest Chalice of Life Flip and Felidar Sovereign for an extra win con. 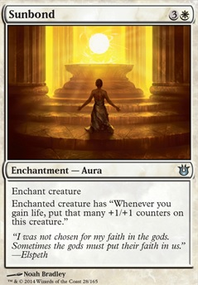 I also run some Ajani's Mantra, Awe Strike and Abuna's Chant in my life gain deck. Lastly why the Forbidden Orchard? Wel5 Thanks man! I understand what you mean. 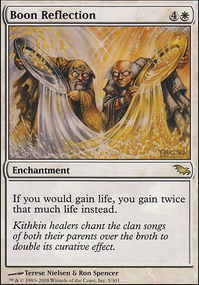 What if I ran two Chaplain's Blessing since it's a one drop and still does the same thing that Abuna's Chant does? I could also put in the other two Flame Slash I have, and I also have a Lightning Strike I could throw in too. I'll definitely need to pick up some Lightning Bolt and Lightning Helix. As for Monastery Mentor, I have two of them actually, but I might save the deck space for more instant's for damage to the face or creatures. 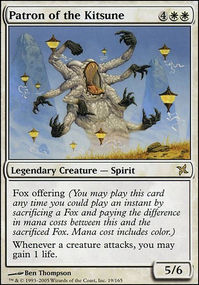 And whenever I have 17 dollars laying around, I'm gonna pick up a Serra Ascendant for sure, because I love the thought of a Rune-Tail, Kitsune Ascendant / Rune-Tail's Essence plus Serra Ascendant combo at 30 life to have a 6/6 with flying and lifelink for as long as possible.